There is an uncomfortable conversation that every adult must have at one point in their lives, one that's particularly difficult because it deals with your eventual passing away. No one wants to think about the inevitable, let alone have a full on discussion about it. That being said, it is part of life and an important responsibility for every aging adult. If you're approaching old age, it's time to start thinking about the future. Anything can happen, and the last thing you want is for something to happen to you before any estate planning was put in place. Approximately 55% of U.S. adults and 41% of all Baby Boomers do not have a will. According to the Wisconsin State Bar, some wills could take up to two years to probate and even simplistic ones could take months, so it's important to contact will and probate attorneys as soon as possible. 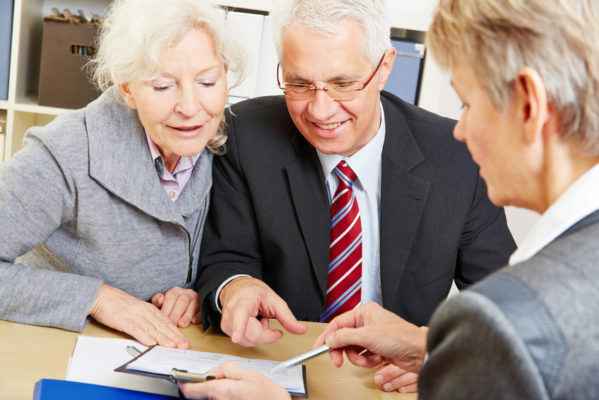 Working with an estate planning attorney doesn't have to be only about your death; it can also be an important discussion about where your finances should be kept. Consulting with financial advisors will ensure that you can properly monitor all your finances. This is important because you won't be as susceptible to financial exploitation if you have professional assistance. Once yur will is official, your family should be financially secure and their overall stress levels should begin dropping. No one wants to lose a loved one, but it happens, so minimizing the stress and complications of those situations should not be taken lightly. One of the most difficult things in the world is dealing with the loss of a loved one. If you also have to worry about where all your loved one's finances would go, the situation would be so much worse. Although discussing your family's future is a hard conversation to have, you will feel much better about it once it's done and you can get back to living and enjoying your life. Just knowing that your family will be financially secure after you're gone can provide you with the peace of mind that you deserve. Contact an experienced attorney who is knowledgeable on estate law to get started on probating your will.